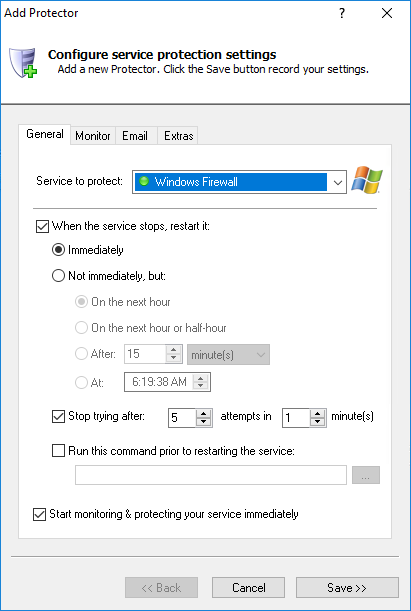 Automatically restart the Windows Firewall if it stops for any reason. Make sure that your computer is always protected from attackers! On the General tab, in the Service to protect field, choose the Windows Firewall windows service. 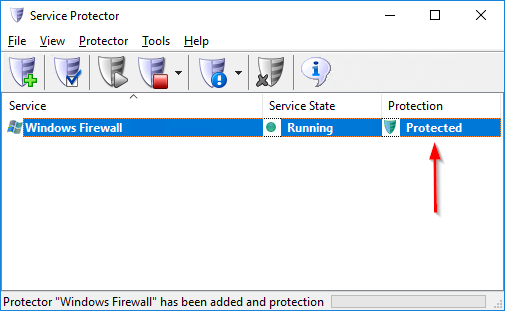 It will be called Windows Firewall (or Windows Defender Firewall on Server 2019). You will notice a green circle to the left of the entry if the service is already running, as was the case on our server. That's it! Next time your computer boots, Windows Firewall will start as normal and Service Protector will begin monitoring the service to quickly restart it if it stops for any reason. 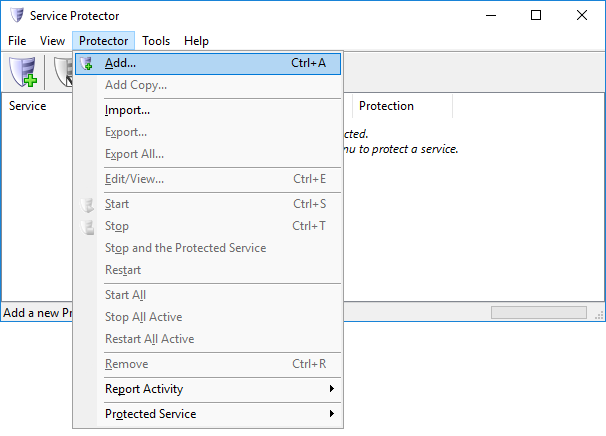 And now that you have gone through the basics, please feel free to edit Windows Firewall in Service Protector and check out the many other settings that may help your defenses to operate smoothly. For example, send an email whenever the service stops, run a command before restarting the firewall, and much more. 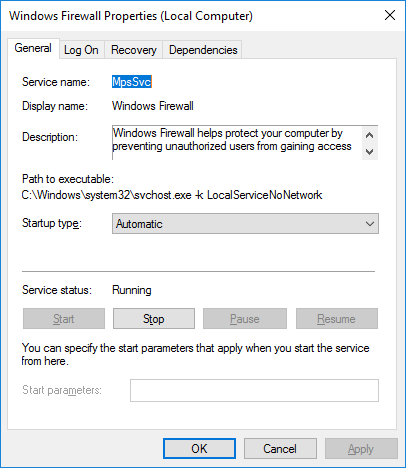 Trouble protecting the Windows Firewall Windows Service?